We are the only Indian company with in-house EPC skills for Silos, Hoppers & Gas Holders. Our recent experience includes the installation of 10 Nos. 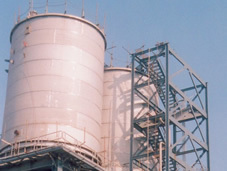 Silos for products such as PTA Product, PTA Batch Tanks, CTA Feed Hopper, Catalyst Storage Hopper, TA Silo & Chip storage. 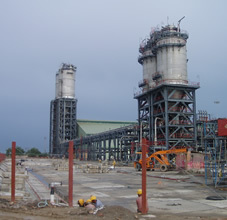 The largest Silo built by us was 12 metres in diameter & 31.5 metres long for IOCL’s PTA Plant at Panipat.